6:08am: You glance and your calendar just to double check that you have a 6am session with Eric. It’s on there, but it’s not like him to be late. Hmm, did he mention a time change when I saw him last week? I vaguely remember that, but did we ever confirm? Scrolling down the rest of the day: 7am with Amy … 8am with Paul…. 5pm Sonia … 7:30pm with Joy. Typical day; split shift with a vast block of glorious blank calendar in between. Nice, a full 8-hour break! I’m getting so much done today! What happened? Where did this day go? I got NOTHING done!! I know, I know - total cliché but Ben’s got a point. You need a clear objective and a plan to get there if you want to maximize your productivity and feel successful. Sounds familiar, doesn’t it? We always come back to that program design analogy from Part One of this Post. 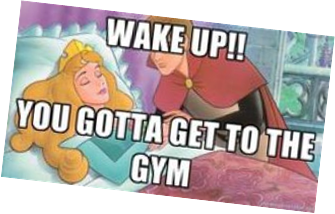 Fitness pros are particularly susceptible to the scenario above. Our lifestyle lends to a perfect storm of procrastination if we allow it. Early mornings and late nights can leave us sleep deprived. Lack of sleep is a notorious motivation killer. Pair that with an environment of enablers, our friends/coworkers, who are always available to kill an hour or two goofing off, and you can see how quickly time is wasted. Lastly, the large “break” in our day is often too large! Your brain says, “C’mon bud, you have 8 whole hours, let’s get a smoothie and take a quick nap. You have plenty of time.” We all know how that plays out. Luckily, you’re self-aware and evolved. A pattern is forming and you recognize it. You’ve had one too many of those days and it doesn’t make you feel good. 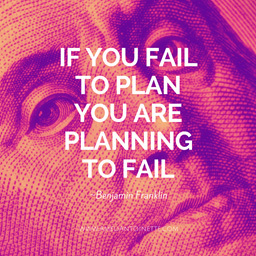 You take Mr. Franklin’s advice and decide to plan ahead and plan to win. Sounds too simple to work and too good to be true, but there are a few key components working together to create success. First, you’re selecting a goal to work toward. If you complete that task, you feel accomplished and you want to feel accomplished! Eyes on the prize. Preselecting the time and place removes meaningless decision making from the process. You won’t waste precious brain power deliberating between the Starbucks on 33rd and the strikingly similar one on 35th. This leave your brain fresh for the important tasks and reduces the temptation to procrastinate. A study in the British Journal of Health Psychology found that 91% people who wrote down when and where they would exercise actually followed through. Conversely, people who read motivational material about exercise, but didn’t pre-plan, showed no increase in workouts completed (Milne, Orbell & Sheeran, 2002). This is not a misprint; I said 91% of the people who planned ahead accomplished the task at hand. Review your To-Do List every evening and identify your most important tasks (MITs) for the following day. Put them on your calendar. The gym is a very distracting place and the open hours mid-day pass by quickly without focus. Let your client fill in “Non-negotiables”. These are events they have that week that could derail their nutrition or keep them out of the gym - client dinners, date nights, a friend’s wedding, etcetera. Now you can plan their homework around these days and issue “get out of jail free” cards for planned nutrition slipups. I wasn’t shocked when the PTontheNet Team told me an overwhelming amount of readers requested more info on the “Calendar-ize” section of 6 Habits Holding You Back from Becoming a Top Trainer. Time Management takes practice and repetition, just like any other habit change. I’m going to leave you with a quote from 15 Secrets Successful People Know About Time Management: The Productivity Habits of 7 Billionaires, 13 Olympic Athletes, 29 Straight-A Students, and 239 Entrepreneurs by Kevin Kruse. The first Secret Highlights the Magic Number 1440. There are 1440 minutes in every day. Those 1440 minutes need to be used wisely because once they tick by, we can’t get them back. Whenever I find myself veering off path, I think 1440 minutes. Milne, S., Orbell, S., & Sheeran, P. (2002). Combining motivational and volitional interventions to promote exercise participation: Protection motivation theory and implementation intentions. British Journal of Health Psychology, 7(Pt. 2), 163-184.